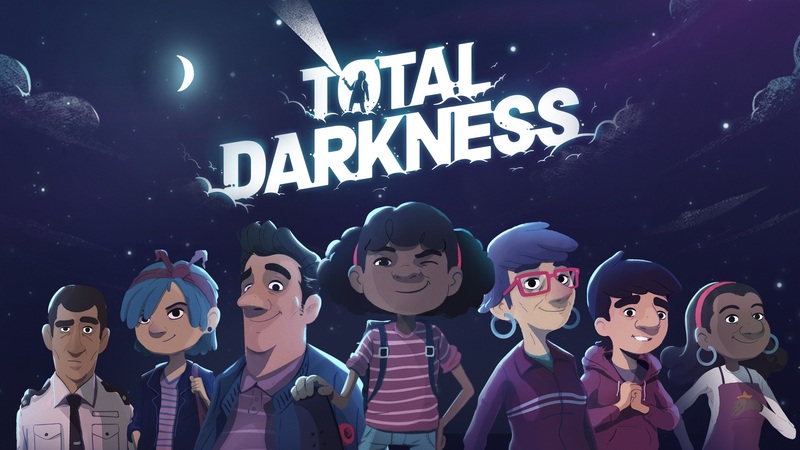 Total Darkness is the latest online game from the Science Museum Group (SMG). The Science Museum has a long history of producing games, but this game signalled a new direction and an attempt to respond to the findings of a multi-year research project into the public’s relationship with science and the role of the museum in science education. 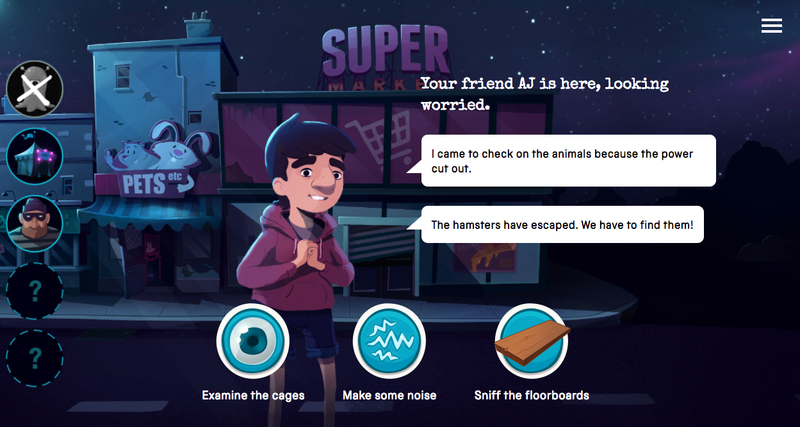 This game is a text based, narrative driven experience which helps players recognise how the skills of curiosity, creativity and communication that they use every day are useful for STEM (science, technology, engineering and maths). We developed this game to be an emotionally resonant experience which provokes a positive change in the player’s attitude towards science. 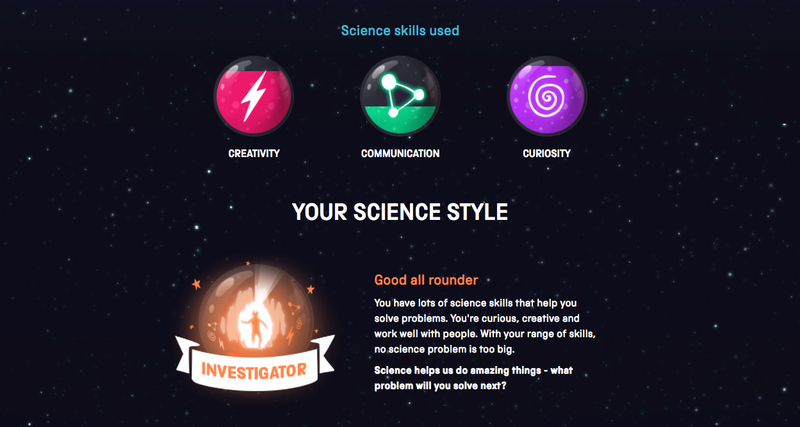 The game is designed to help people see that science is a subject beyond the classroom, part of everyday life and something everyone can be part of and do. 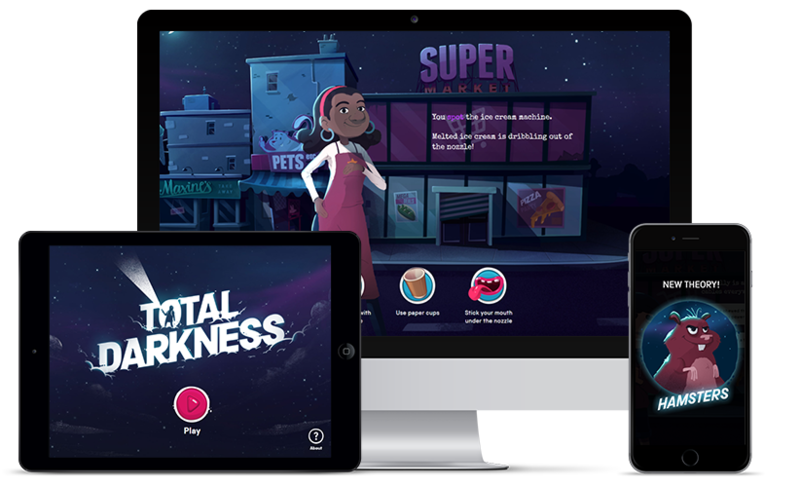 Total Darkness was developed over 18 months in a research-lead process based on SMG’s approach towards informal science learning and science capital principles, utilising extensive user testing, iteration and prototyping over two phases. Working with the concept of science capital pushed us to provide experiences that help more people make deeper connections with science by accessing the ‘capital’ they already have. This can help to change people’s attitudes towards science in the long term. Everyone’s science capital is different. 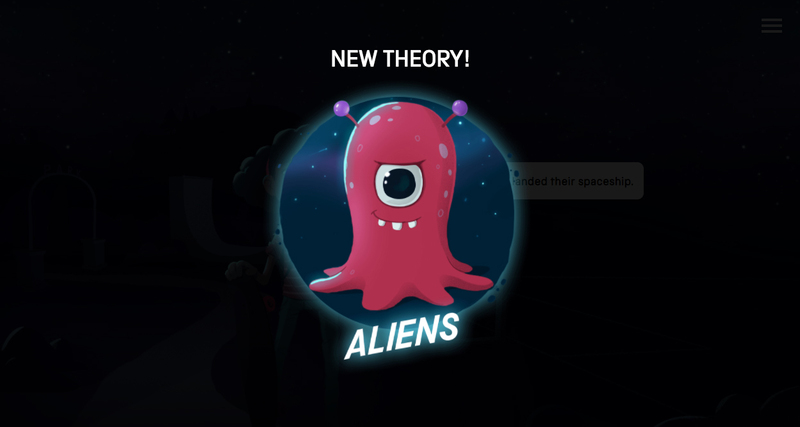 We discovered that story-led gameplay could be a powerful tool to provide an emotionally engaging experience that would help connect young people with science thinking. Building on the success of the Science Museum’s games and apps we know we can reach many young people through digital and hopefully engage them in a space that is familiar to them. The target audience is 7–13 years olds. This is an important stage in children’s science development as children make the step between primary and secondary school in the UK. It is therefore a key moment of many moving away from an interest in science as other influences have a stronger pull in their lives. If we can engage children before this stage then we will have more of a chance to influence their future relationship with STEM subjects. Through a three-month phase of research and development, we carried out three testing workshops at the museum prototyping and testing ideas with the target audiences. We discovered that a story-driven experience would be the best format to create this game, similar to a text adventure. We found that users were quickly engaged by a captivating story line, particularly one set around a mystery, interacting with relatable characters and locations, while having a slight twist to them to make it a bit out of the ordinary. 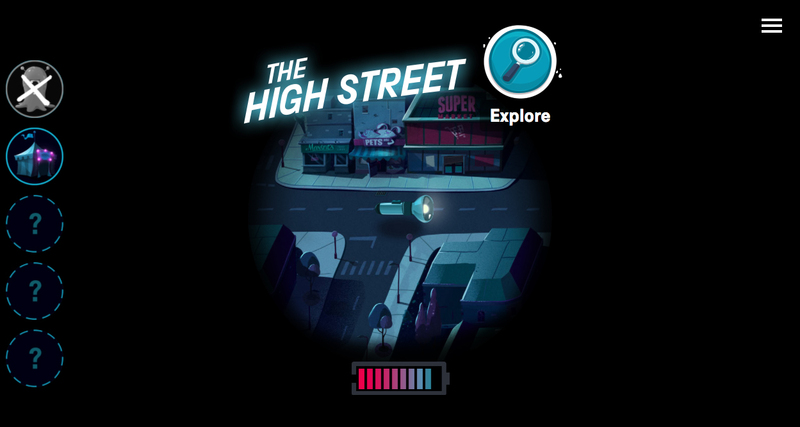 The game invites the player to solve a mysterious power cut in their hometown, players have to venture into the dark to solve the mystery and find out what or who is responsible for the power going out. They have a torch to help explore the map. However, with every step the torch battery goes down and if it runs out that’s the end of the game. As players navigate around the darkened streets, they will discover a host of different characters and locations. The player must help each character with a scenario that has been caused by the darkness by using their science skills, from lost pets to melting ice cream. Using their curiosity, communication skills and creative problem solving they will discover new theories about what might have caused the blackout, but can they be trusted? There are five theories to find and disprove in order to solve the power outage and win the game. The player’s choices and actions throughout the game score them curiosity, creativity or communication points, which are highlighted to them with each choice. At the end, the balance of skills the player has used will be revealed along with their science style, showing how they could put their skills into action in the real world. A player doesn’t have to complete the game to receive their science style. Even if they run out of torch battery or don’t solve the mystery in time, they still receive one of five different styles. Each style is designed to give positive reinforcement to the choices a player has made during the game, showing them that they already have all of the skills that scientists use every day. We hope this will also act as a motivator to share their style with peers to see what they got and encourage replays to see what other styles they might get from different choices in the game.